Since I revealed in April that the Department of Work and Pensions (DWP) and its Jobcentre Plus ‘subsidiary’ were forcing jobseekers, under the threat of sanction, to take a fake psychometric test on behalf of Downing Street’s ‘nudge unit’, the story has run on and on. The DWP denied that anyone had been forced to take the test and claimed that no one had risked losing benefits for non-compliance – and then admitted, in a bizarre Freedom of Information (FOI) response that it had done exactly that. Meanwhile, the head of the nudge unit, David Halpern, had written a letter (jointly with creator of the ‘test’ and US psychological torture guru Martin Seligman) to the Guardian repeating the denial – which the FOI then showed to have been completely untrue. The situation caused considerable uproar among psychologists, particularly within the British Psychological Society‘s ‘Division of Occupational Psychologists‘ (BPS; DOP), some of whose comments in a Linkedin discussion forum you can see here. I can now reveal (together with the Guardian) that the Health and Care Professions Council (HCPC) is investigating David Carew, the DWP’s Chief Psychologist, over the use of a ‘test’ which evidently lacks proper development and validation, and which consisted of simply extracting 48 questions from the hundreds contained in a properly-validated test created by a US organisation, the VIA. 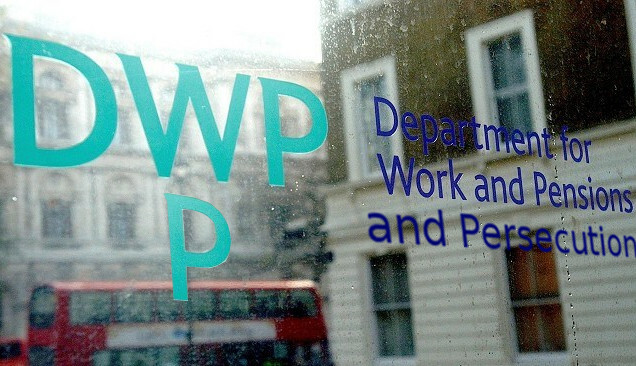 We approached the DWP to try to discover how the Behavioural Insights Unit drew up its test. We have received a reply, but without our questions being fully answered. any concrete evidence relating to proper development and psychometric qualities of the tool. As we’ve seen over recent weeks, this is a government that is determined to dehumanise and bully unemployed people – and which is ‘perfectly relaxed’ about lying. Clearly both aspects of its behaviour have come together in a ‘perfect storm’ over the issue of this fake, coercive and cynical ‘test’. Let’s hope that the HCPC’s investigation of Mr Carew will reveal yet more information that will expose the government’s casual attitude to truth and proper process – and its complete disregard for due care and diligence when it comes to inflicting unvalidated psychological experiments on vulnerable people. David Cameron and his government cronies should undergo a psychiatric assessment. Evil, the lot of them! I’ll second that Maria B! Steve this is an excellent result! The BPS do not mess about when it comes to this kind of thing because they have to protect the reputation of psychology. The ‘nudge’ units blatant disregard for the research process and totally blase attitude to research ethics is very serious and the govt Chief Psychologist must be, to put it crudely, sh*tting himself. A few people could be ‘nudged’ out of a job over this. I sincerely hope so. Me too! Be interesting to see whether they really follow through and make it stick. I’m pleased this has come out, and I hope I was able to help in some way. Personally I still think that the general ethical issues in directing vulnerable people to complete any questionnaire outweigh considerations of its validity, but that’s a welcome extra level of embarrassment. I hope someone gets struck off (or whatever the term is at the BPS) over this. Good news, Steve. I’ve been posting this and the Guardian piece around a bit. My interest in all this was goosed by my hatred of torture, long ago, and now by my hatred of ATOS. Their KPMG Nederland gave me and my partner a lot of trouble and perhaps still are. A friend of mine has been collecting all relevant links. Here is the current list. https://www.facebook.com/photo.php?fbid=10151533912581288&set=a.10150619363136288.382666.647096287&type=1&theaterhttps://www.facebook.com/photo.php?fbid=10151533912581288&set=a.10150619363136288.382666.647096287&type=1&theater (I hope this works). This is a great story from skwalker’s blog and well worth the read. The issue of the false psychometric has been running for months and skwalker has blogged about it several times and put some hard work into bringing us the facts. You can follow the whole story on his blog. This despicable treatment of vulnerable people is being investigated thanks to blogs like skwalker’s and newspapers like the Guardian raising public awareness and refusing to accept DWP’s weak excuses and pathetic justifications for behaving like they do. Even now, when challenged by a bodies like the HCPC and the BPS they make laughable claims such as the use of the test has reduced unemployment. Its beyond me how they could possibly prove that. Lets hope that this current investigation leads to those responsible for using this unethical ‘test’ join the long queue desperately seeking work in a country with a huge jobs deficit. The DWP should also be investigated for abusive management styles which also probably create “hostile” working environements in some parts of the DWP and some jobcentres. Where “hostile” work environments exist, you get a lot of bullying of colleagues and those the employees interact with ie jobseekers. Bullies pick on the vulnerable. You also get more corruption than otherwise. My key concern is the shameful abuse to the vulnerable. When I read accounts of how people are being cruelly deprived of benefits, the abnormal and horrifying behavior of those doing this remind me of the way people acted out in the Stanford prison experiment http://en.wikipedia.org/wiki/Stanford_prison_experiment. The attitudes, words and actions of some at the top of the DWP and in government are no different ie heartless, cruel, unjust and unfair – not good leadership/management styles and with dire consequences for those mistreated. Also, it is common sense that if people are rewarded for sanctioning people and punished if they don’t meet some national target, sanctioning will increase. Sanctioning is unjust and unfair – even people sent to prison get fed and housed, DWP should not be making people destitute, let alone through false accusations or by setting double binds and impossible obstacle courses, or the abusive hounding/harrying/emotional wearing down of benefits recipients. Public servants have a duty to behave ethically towards benefits recipients. Finally (in my ‘rant”) it is psychologically toxic and dysfunctional to say “I love you you piece of sh..t” – as in the make people do test for strengths but mistreat them. making someone do the test as with many of the government “tactics” violate psychological ethics ie no full inform consent to consequences of test results etc. I am concerned also that even if they were given a complete test, the results might be used to target any benefits recipients deemed “troublemakers” ie dissenters, those who have run into corruption – to break them down psychologically or blacklist them by the back door – Seligman must know this is done and goes on unless he is naive – his theories on learned helplessness were reverse engineered by some into torture – and the techniques of pychological torture (see the Kubark manual at physicians for human rights) are similar ie make the essentials of life random/harder to attain or attach psychological pain to good stuff etc. Hope the DWP has a good spring clean of sunlight that there is less abuse. sorry about not being concise – years of being hounded. Don’t worry about being concise – brilliant contribution! I also wanted to add that decent economists have always allowed for the fact that those who are unemployed get discouraged from time to time (a normal response to the abnormal state of not being able to find suitable work). There are at least 5 times as many unemployed as available jobs – and not all the jobs aare real jobs i.a. full-time – some are scams, zero hours, short-term contracts etc. Therefore to hound people as if poitivve thinking or more effort could get the majority into work is either delusional on the part of those hounding the unemployed or it is deespicable and will create learned helplessness symptoms amongst many, ESPECIALLY if they are stressed out/insecure due to food, housing, gas/electricity, health access “insecurity” , if they are harassed by creditors, or especially if their support community is aat risk – which is why the bedroom tax and other government policies are despicable. They are either inept or specifically designed to mess up the lives of many of those receiving social security benefits and to create learned helplessness symptoms which decrease the probability of people being able to find or keep work in the short, medium and long run. It is shameful. I don’t know what the government is on – hatred or something else. Leant helplessness is what victims of long-term abuse may end up with – it gets in the way of people being able to fully engage in life. They are also setting people up for increased PTSD and depression and anciety sysmptoms and break downs with the cruel incrememntal and unnecessary stress. It appears to me to be a war against the low-income – or an attempt to quash dissent – or maybe they are just behaving like some people in abusive families (blame the victims or witnesses of wrong doing or those who speak up for them and dont talk about the elephants under the carpets eg insufficient jobs, housing problems, injustices and inequalities etc) . I hope and pray something good will happen (maybe they are closet sadists). Might be worthwhile reposting the main document about Seligman and torture here: http://www.ethicalpsychology.org/materials/APA_&_US_Torture-Basic_Facts.pdf . This is in Steve’s post, but I think it’s good to highlight it. Most medical and non medical practitioners obtain written INFORMED consent even for simple beauty treatments and hypnotherapy. EG: This form is to document any consent for assessment and/or treatment as well as an agreement to the conditions of the assessment and/or treatment. One of the few ways people can get out of a consumer contract is, duress (gun to the head). Regardless of the validity of the test, Maggie was not informed and did not give her express consent to a voluntary behaviour changing test. She was forced to do the test under a threat of a sanction, which is both immoral and illegal. I was wondering if anyone had raised an official complaint on her behalf, as I believe some compensation is due. The internal process has more scope than the legal route. Although a legal case is deserved and would be more embarrassing for the government. Great point! No complaint has been made to the JCP – what would be the procedure for an internal complaint? Informed cosent also has to be “full” ie people are told and fully comprehend the consequences, assumptions etc – as opposed to just signed consent for something. For example, if signing onto universal credit online or jobsearch online means private companies get your financial or other data and you are not told, or if sanctions or details about them are passed onto businesses or insurance companies and so you might have black marks against your name (or even slander) and get blacklisted from the job market or higher inurance rates/lower payouts from insurance schemes in the future, and you are not told in advance, you have not been given full informed consent. Likewise if there is an implicit threat in not agreeing to the terms ie you do not really have a choice not to agree so signing is just a formality. I really benefited from reading Ethics in psychotherapy and counseling by kenneth S.Pope & Melba J.T.Vasquez (2nd ed) – Mr Pope also (hope he still does) used to have a great website including on torture. It is written for counsellors (I am not one) but useful for ethics in general. Initially, a simple written complaint to the local office manager, it will then be escalated to the Complaints Resolution Team. There are also the other important points to consider i.e. the Jobseeker Direction process was not been adhered to either. From memory, ‘Maggie’ is a vulnerable semi literate lady and this was not taken into consideration before issuing the direction for the test and the skills assessment. I can assist with the complaints if you like? Thank you so much for your time and effort in uncovering all of this detail. Can you say it is in the articles (I don’t have access)? Just the fact that some behavioural psychologists and officials think it is ok to manipulate people sickens me. The healthy and democractic thing to do is to be stright and not bypass people’s free will by “nudges”. People into manipulation are not trustworthy in other areas of their life – they are entitled, thinking they have the right to in effect trick people into doing what they want – a bit like snake oil salesmen and other conartists. There seems to me to be more and more of that going on and people seem to think it is ok to do that – including some public officials. I agree and a quick look rather annoyed me. I will try to cut-and-paste it right under this. DID you hear the one about the flies in the toilet? They took off, flew round the world, and started a revolution. It was 1999, and the authorities at Schiphol Airport in Amsterdam were looking to cut costs. One of the most expensive jobs was keeping the floor of the men’s toilet clean. The obvious solution would have been to post signs politely reminding men not to pee on the floor. But economist Aad Kieboom had an idea: etch a picture of a fly into each urinal. When they tried it, the cleaning bill reportedly fell 80 per cent. Amsterdam’s urinal flies have since become the most celebrated example of a “nudge”, or strategy for changing human behaviour on the basis of a scientific understanding of what real people are like – in this case, the fact that men pee straighter if they have something to aim at. The flies are now, metaphorically, all around us. Governments across the world are increasingly employing nudges to encourage citizens to lead healthier, more responsible lives. Chances are you have been nudged, although probably without realising it. So does nudging work? And should we accept it? To understand the nudge revolution you have to go back to the 1980s, to the heyday of a branch of economics known as the Chicago School, after the University of Chicago economics department where it started. Its fundamental principle was “rational choice theory”: when people make choices, they exercise near-perfect rationality. They logically weigh up incentives such as prices, taxes and penalties in order to maximise their own economic interests. Rational choice theory was hugely influential, picking up Nobel prizes and providing the intellectual foundations for neoliberalism. But there was a problem: it was deeply flawed. Imagine you are given £100 and told that you can keep it, as long as you give some of it to a stranger. The stranger knows the deal, and can reject your offer – in which case you both get nothing. Rational choice theory predicts that strangers will accept whatever you offer: even a small gain is better than none. In reality, however, people make surprisingly large offers, and strangers often reject ones that do not appear fair. Why is this? In a nutshell, because real humans are not coldly rational. Although we are motivated by money, we are also motivated by other things, such as social norms and the concept of fairness. We don’t like to appear greedy, even to strangers, and we would rather punish a derisory offer than accept it. Insights like this led to a new way of thinking called behavioural economics. This “science of choice” documented the many ways real people deviate – often wildly – from rationality. One of its most important insights is the idea that we have two systems of thought: System 1 is fast, automatic and emotional. System 2 is slow, effortful and logical. The coexistence of these two systems is the key concept of dual process theory, which won Daniel Kahneman of Princeton University the Nobel prize in economics in 2002. The fast-thinking system has been likened to an inner Homer Simpson; the slow, methodical system, to an inner Mr Spock. System 1 doesn’t stop to think: it just does. It reacts on the fly and jumps to conclusions. System 2 is the opposite. It is a thinker, not a doer. It is what we use to solve complex tasks that require attention and reasoning. When it comes to decision-making, system 2 generally produces better outcomes. But attention, concentration and reasoning are finite resources. So most everyday mental tasks are left to system 1, leaving us wide open to errors. Answer this question as quickly as you can. Fish and chips cost £2.90. A fish costs £2 more than the chips. How much do chips cost? System 1 instantly shouts out an answer which feels right: 90p. It takes deliberation to arrive at the correct answer, which is 45p. Numerous other biases and flaws are also at play. We are swayed by social pressures and will often follow the herd instead of making decisions to suit ourselves. We procrastinate and tend to choose the path of least resistance. We value short-term pleasure more than long-term success. We are “loss averse”, meaning the pain of losing something is greater than the pleasure of gaining it. We favour the status quo even if it is not in our best interests, and are easily influenced by irrelevant information. This ragbag of flawed thinking is responsible for all sorts of poor choices in life, such as giving in to temptation, failing to save for retirement, sending angry emails and making ill-advised purchases. It is why well-laid plans to eat more healthily, exercise more and drink less often come to naught. It is, in short, what makes us human. Encumbered by all these biases, the human mind looks anything but the orderly decision-making machine envisioned by rational choice theory. But in a funny way, it is. Our minds are biased and flawed, but in a systematic way. Human behaviour is irrational, but predictably so. It is this predictability that convinced behavioural economists that it should be possible to change behaviour. And so the concept of nudge was born. The idea came to widespread public attention in 2008 when two social scientists at the University of Chicago wrote Nudge: Improving decisions about health, wealth and happiness. Richard Thaler and Cass Sunstein had been working for years on how to apply behavioural economics to policy. The book became a surprise bestseller, and won some influential advocates. The main tool of nudging is “choice architecture”, or the way in which options are presented. Whenever you make a decision, from the mundane to the potentially life-changing, choice architecture is at work. Every time you go into a restaurant or shop, fill in a form, visit a website, read a newspaper, vote, turn on the TV, or do any number of everyday activities, you encounter choice architecture. Much of this is incidental, and some you even create yourself, as when you stock up with food – if you haven’t got chocolate and sweets in the cupboard, you’re less likely to indulge in them because doing so would require a trip to the shop. But some is deliberately created by other people – often with the intention of exploiting your biases. Supermarkets are the experts at this (although they don’t call it nudging). They greet you with the smell of baking bread, place the most profitable brands at eye level and put chocolate next to the checkouts. The intention is that you cave in to temptation and end up buying things you didn’t intend to. None of this is news to retailers trying to separate you from your money. But only recently have public authorities woken up to the power of choice architecture, and the possibility of redesigning it to nudge people towards doing the right thing. The “right thing”, of course, is a value judgement, but is usually defined as the option people would have chosen if they were not burdened by biases (although who gets to decide is a bone of contention – see “When does persuasion veer into coercion?”). In practice, nudging can mean all sorts of things. Many decisions in life are dictated by a default option, where a choice is made for you unless you opt out. Some countries, for example, automatically register citizens as organ donors. It is easy to opt out, but most people do not get round to it. Many nudges simply reverse a default option. Similarly, if getting people to do public-spirited things is difficult, they can be nudged by applying social pressure. A good example is voting. Informing people about high turnouts in their neighbourhood can encourage them to go out and do their civic duty. The common thread running through all these strategies is that they do not use orthodox economic incentives like taxes, fines and rewards. According to the working definition of nudges laid out by Thaler and Sunstein, anything that reaches for these policy tools does not qualify. Consider the very real problem of excessive drinking. Increasing the price of alcohol might reduce drinking, but that isn’t a nudge. A nudge would be telling people how much other people drink on average, or prompting pubs to sell beer in two-thirds-of-a-pint glasses as well as pints, on the understanding that if you give people a big portion they will probably consume it even if they don’t really want to. Perhaps most importantly, nudges must be “freedom preserving”, which means people remain at liberty to make the wrong choice. You can still drink pints if you want and nobody will tell you that you can’t. That element is what makes the nudge approach so very attractive to politicians: it does not involve bossing people about or enacting new legislation. That is largely why Thaler and Sunstein’s ideas found an eager audience on both sides of the Atlantic – and on both sides of the political divide. In 2009, President Barack Obama’s administration appointed Sunstein to run the Office of Information and Regulatory Affairs (OIRA), a powerful agency within the White House that scrutinises federal regulation to make sure the benefits outweigh the costs. And when the UK’s coalition government came to power in 2010, the prime minister David Cameron created the Behavioural Insights Team – nicknamed the Nudge Unit – to put nudge theory into practice. Sunstein was head of OIRA until 2012. During his time there he helped to bring about what he calls a “large-scale transformation of American government”. Using nudge theory he and his team changed the way Americans eat, use energy, save for retirement and more (see “Inventing the nudge”). The UK nudge unit claims similar successes. Anyone applying for a driving licence now has to answer the question “Do you wish to register as an organ donor?”. People are free to say no, but by changing the default option – to keep people off the register unless they seek out registration – the unit eventually expects to double the number of voluntary donors to about 70 per cent of the population. David Halpern, the unit’s director, says their biggest success is in recovering unpaid tax. People who owe money now receive a letter telling them (truthfully) that most people in their area pay their taxes on time. This social nudge has increased compliance from 68 per cent to 83 per cent. The unit also quintupled the uptake of a failing attic insulation scheme by adding a free clearance service. It was not that people wouldn’t pay to have their attics insulated, they just couldn’t be bothered to empty them out first. Overall, Halpern claims that his unit’s initiatives have already saved hundreds of millions of pounds. Off the back of these successes, nudging has spread like wildfire, with governments across the globe – including Australia, New Zealand, France and Brazil – joining in. Taken individually, nudge-based success stories may seem trivial. But there is a lot more to come. “We’re very much at the beginning of the road, there’s a great deal of scope for more,” says Halpern. The UK unit has been given a remit to expand its activities across all areas of government and also to take on paying clients. Sunstein similarly says that what they have done in the US is the “tip of the iceberg”. As the strategy is rolled out more widely, the cumulative impact could become enormous. With nudges applied to policy problems in all aspects of public life, some economists anticipate incremental transformation of societies like the UK and US into “nudge states”, or “au pair states” (like the nanny state but less bossy). Will all of this lead to better societies? Advocates of nudging are adamant that the science is on their side. The UK unit tests its interventions in randomised trials before rolling them out – both to see whether they work and whether they are socially acceptable. In the US, too, Sunstein insists that “everything we did was based on evidence”. There are fears that certain nudges might even prove counterproductive. For example, there is some evidence that when foods are labelled as healthy or low fat, it is taken as licence to consume more, Marteau says. But perhaps the most serious obstacle to the nudge revolution is public acceptability. Although nudges are intended to be helpful and preserve freedom, many people feel there is something sinister about interventions designed to change their behaviour without them necessarily realising it. SLOW DOWN The city of Chicago reduced the number of car accidents on the scenic but twisty Lake Shore Drive by painting white stripes on the approaches to sharp turns. The stripes get progressively closer together, creating the illusion you are speeding up. EAT YOUR VEG Researchers at New Mexico State University in Las Cruces doubled the amount of fruit and vegetables people bought at a supermarket by cordoning off a section of shopping trolleys and marking it “fruit and vegetables”. SAVE ENERGY A study in California found that people could be encouraged to reduce electricity use by leaflets informing them about the energy-saving measures their neighbours were taking. Leaflets telling them how much money they could save were less effective. The tactic of nudging has already made its mark in political campaigning. Various below-the-radar tactics have been used in the US to increase voter turnout by the few percentage points that can swing an election. In his book The Victory Lab, journalist Sasha Issenberg documents some tricks of the trade. • Send your supporters a boring-looking letter without any party branding thanking them for voting last time and saying “We look forward to being able to thank you again after the coming election”. This reminds people of the virtuous feeling they got from voting last time, and plays on our sense of not wanting to lose that glow. • Call supporters on the eve of the election to ask them questions such as “When will you vote tomorrow? Will you set off from home or work? Will you drive, walk or take public transport?” This exploits the “plan-making effect”, whereby people are more likely to perform an action if they have visualised it first. • Send voters a simple fact sheet about voter turnout in their city and neighbourhood. This exerts social pressure on people to get out and vote. I just want to take the opportunity to thank everyone for the outstanding quality and volume of information posted in the comments on this article and all those related to it. It’s been massively informative and gratifying! When you published Nudge in 2008, did you expect it to have so much influence? No. We were trying to write the best book we could. I was surprised and gratified that it got such attention. You went on to head up the White House Office of Information and Regulatory Affairs (OIRA). What was the most effective nudge that you implemented? Automatic enrolment in retirement savings plans has had a major effect. If you have to sign up, it’s a bit of a bother. People procrastinate or go about other business. Then they have less money in retirement. With automatic enrolment, you’re more likely to be comfortable when you retire. How many US citizens have been nudged that way – and do they know it? A very large number. Automatic enrolment is a common practice now, many millions of people have benefited from it. People recognise they’ve been automatically enrolled – there’s nothing secret about it, and it’s explained by employers. But they wouldn’t think, “I’ve been nudged”. Don’t they have a right to know? I don’t think it’s very important that people support the idea of nudging in the abstract. I think it’s important that policies be helpful and sensible. What other policies did you design during your time at OIRA? In the US, the principle icon for informing people about healthy food choices was known as the food pyramid. It was very confusing. We now have the food plate, which is more intelligible, and we believe it’s leading to more informed choices. We also had a situation in which poor children who were eligible for free meals weren’t getting them because they had to enrol. We automatically enrolled them, and a lot of kids are now getting food who otherwise wouldn’t. How do you design a nudge? It’s a problem-centred approach, rather than a theory-centred approach. So if we had a problem of excess complexity making it hard for people to make informed choices, the solution would be to simplify. If people aren’t enrolled in a programme because it’s a headache to sign up, automatic enrolment seems like a good idea. Is nudging generally preferable to strategies like taxes and prohibition? The advantage of a nudge is that it’s more respectful of freedom of choice. It always belongs on the table, but if you have a situation where, say, polluters are causing health problems, some regulatory response is justified – a criminal sentence or a civil fine. Can nudging solve complex, long-term problems such as climate change? Climate change needs international efforts. You can make progress by informing people of greenhouse gas emissions associated with their car, or through default rules, like lights going off when no one is in a room. But nudges are unlikely to be sufficient. Can nudges lead to lasting change? There is good research on the circumstances under which using social norms result in persistent instead of short-term behavioural change. With respect to energy use, so long as people are frequently reminded, it works. How much further can nudging go? I think it’s important not to get too fixated on the word “nudge”. Part of the reason the book did well is that it has a catchy title, but I’d like to think the better reason is that it has solutions to problems. The use of these tools has produced terrific results in a short time – and we’re at the tip of the iceberg. NUDGES are born of good intentions and clever ideas. Alas, that’s not enough. I once proposed a nudge to promote online civility. I suggested that magazines and newspapers should moderate comments using a variation of ToneCheck, an “emotional spell-checker” for email that prompts users to tone down angry messages. Richard Thaler, one of the chief architects of nudge, loved it, tweeting: “A Nudge dream come true.” But my students saw a problem: legitimate opinions getting censored or watered down. The lesson I learned is that nudge designers must always consider the possibility of unintended consequences. In fact, that is only one of many concerns about nudging. As I found, creating effective nudges is difficult. Thaler and Cass Sunstein’s influential book Nudge creates the impression that nearly anyone can do it. All you need is a basic understanding of how the mind works and a flair for creative design. This is highly misleading. Nudges are usually designed on the assumption that everyone has the same cognitive biases. But this is only valid in some situations. Consider a proposal to increase organ donations in the US by making it a “mandated choice” – everybody applying for a driver’s licence or vehicle registration has to either opt in or opt out. This sounds reasonable, but it overlooks negative perceptions many Americans have of the Department of Motor Vehicles (DMV), which may exert a profound influence on decision-making. After waiting in line for hours, fuming over DMV inefficiencies, you may be less inclined towards altruism. Another worry is that we may expect too much of nudges. While they can change behaviour to a limited extent, it is doubtful that they can be used to solve complex policy challenges such as climate change. Politicians need to recognise this lest they fall into one of the traps flagged up by Adam Burgess, a risk researcher at the University of Kent in Canterbury, UK. He points out that embracing the nudge philosophy risks over-simplifying; misconstruing structural problems as individual lifestyle choices; diverting resources to the wrong programmes; or failing to enact new legislation (European Journal of Risk Regulation, issue 1/2012, p 3). There are ethical concerns too. Philosopher Luc Bovens at the London School of Economics contends that nudging can be infantilising, because of the implicit assumption that people don’t know what’s good for them. Worse, what gives anyone the right to assume that we have “true preferences” that we would choose if only we had perfect knowledge and unlimited willpower? And how can anyone know what these preferences are, if they have the same cognitive biases that we do? Both questions drove vocal debates over New York City Mayor Michael Bloomberg’s failed attempt to ban the sale of supersized sugary sodas. Some argued that opponents were making a mountain out of a molehill: Bloomberg was merely demanding extra effort of those who want to consume unhealthy amounts of soda, not calling for prohibition. Yet opponents countered that the person who knows if drinking a huge soda is a mistake is the person who orders one, not some regulator. This brings us to perhaps the biggest concern of all: that nudges can be coercive. Although advocates contend that nudges should in principle be transparent, there is clearly scope for manipulation, especially when it comes to the nudges that work best when we’re unaware of their influence. There is also a worry of mission creep – that interventions that are not nudges are passed off as if they are. The danger is that the softly-softly approach turns into a smokescreen for more coercive policy: “nudge” becomes “shove”. Recent research, however, suggests these concerns may be overblown. Pelle Hansen of Roskilde University in Denmark found that most nudges are not manipulative, and fewer problematic cases exist than has been claimed (European Journal of Risk Regulation, issue 1/2013, p 3). I’ve focused on problems, but nudges still offer great opportunities. Initially, wild enthusiasm led to hype, and critical pushback inevitably followed. Yet if core concerns are taken seriously, we will be in a position to use nudging to do what Thaler and Sunstein promised: improve health, wealth and happiness. Quite a few comments 61 at last count. Just added a comment myself. Great stuff, Steve, and much deserved. Certainly hope you’re right! Thanks for the comments – I’ve ‘recommended’ yours. Thanks for the chance to participate. This was a rewarding experience that I hope will help others. Most Jobseeker Agreements require claimant to visit online job boards several times a day and to look for work for up to 35 hours. There is absolutely no way any adviser will spend this amount of time helping 120-140 clients on their caseload find work every week! The real reason is to check you are looking for work in order to stop your benefits and to offer you part-time jobs that are likely to make you worse off and you do not really want. All these activities reduce the number of people recorded as unemployed. Now that JCP do not control the vacancies on their internal system, it is much harder for them to take Refusal of Employment action (initially a 13 week sanction). According to DWP more than 50% of Jobseekers have given JCP access. Is this a further manipulative nudge? Not sure if you have seen the big up the nudge unit are giving themselves .. Thanks for the pointer! I’ll take a look. weaknesses – some people especially in the area of cookies. Don’t ask me what I think of the dark arts behavioral types (even more harmful to people than the patronising ones). And they waste public money on these junkets and their salaries which could be spent on food or job training or creation? I keep forgetting that some of them know the truth but are good actors and actresses and are using their acting gifts to deceive the public while slandering the low-income so they can smash the safety net and inflate their wealth and careers. An article in a UK daily this week implied that smoking, drinking and gambling were sins of the working class – same old slander – most of the drinking and gambling at Ascot (as well as any smoking) is not done by the working classes unless they are going to say that the horses who entertain them are visiting the bookies! If they admi a child or adult, are they striving when grabbing 2 marshmallows but greedy or lacking in self control if they don’t like the one who eats 2 marshmallows? if they admire a child or adult, is the child labelled a striver if they grab 2 marshmallows, but if they don’t admire them, they are labelled greedy or lacking in self-control? They also failed to point out that before children have reached a certain developmental stage, they will take 3 small marshmallows rather than 1 which has a larger surface area – which means that it is normal developmentally for small children to want more than one of something they like. When children goe through unnecessary streses, their development may be delayed – so governments have a great duty of care NOT to push unjust policies which stress out children or parents – else they will cause some children to breach government etiquette through no fault of their own. Some wealthy/important people are so well mannered – what happened to this bunch in power? Thank you! You can reach me at skwalker1964@gmail.com – happy Christmas! Hello, I am very impressed and inspired that you successfully campaigned to have a rogue psychologist investigated by the HCPC. I have been trying (for 15 months) to get the HCPC investigate a psychologist who abused me but got no where. I am a qualified therapist and a former lecturer in psychology. My MP has been supporting my case. Despite all these facts, the HCPC still refuse to take on my case. 1.Do you know of any managers at the HCPC who might help me? 2.Do you know of any journalists who might help me? 3.Can you offer some tips how I can get my case to be investigated?